Treat your cheeks with the latest make-up trend using the Essence blush up! powder blush. A cool and unique blush with a colour gradient that sets on your cheeks gorgeously. Its silky, semi-translucent texture provides subtle coverage and gives you an adorable, flushed look. Unique blush with colour gradient. Offers subtle coverage and gives a fresh look. Explore the entire range of Blush available on Nykaa. 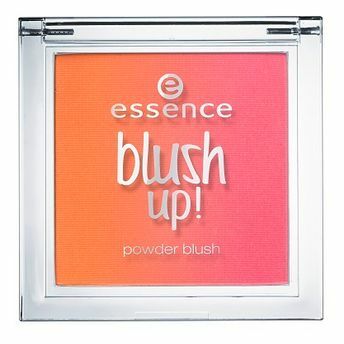 Shop more Essence products here.You can browse through the complete world of Essence Blush .Alternatively, you can also find many more products from the Essence Blush Up Powder Blush range.